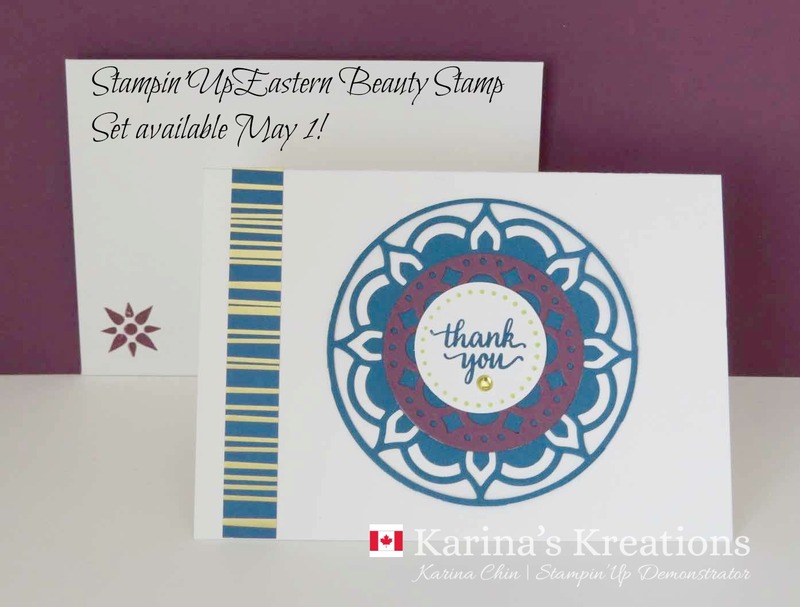 Karina's Kreations: Eastern Beauty Sneak Peak! The Eastern Palace bundle will be in the new catty June 1 but customers can order it early on May 1. 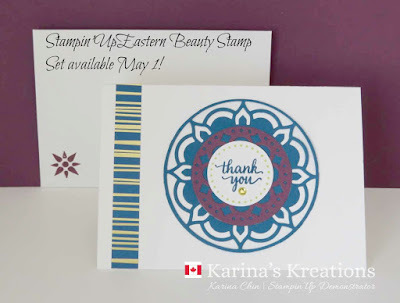 Stampin'Up has 2 bundles available. One is for newer stampers and the other is for stamper that own a Big Shot,. Both bundles have free product in them. Check back on May 1 for more info. Or, if you're like me and can't wait, you can get a starter for $135.00 and order it now. The deluxe bundle is $134.75 so I believe you could get this as your starter kit and get free shipping and Gst. Just a thought! Do you notice any new in-colors? I used Lemon Lime twist and Fresh Fig on this note card. The bundle includes three new in-colors. Email me at kchin2@telus.net for more info!